So, what exactly is wrong with Grand Lake St. Marys? There’s been a lot of talk lately about the condition of Grand Lake St. Marys, and if Summer 2010 is any indication, the situation has rapidly grown worse in recent years. The unsightly blue-green algae blooms and their accompanying stench, in addition to their high toxicity, is a concern to all GLSM stakeholders: residents, tourists, campers, boaters, outdoor and wildlife enthusiasts, producers, businesses, and everyone else who lives in, works in, or visits the watershed. To better understand what must be done to prevent Grand Lake St. Marys from further decline and restore the lake to a recreational, wildlife, and economic hub, we have to first understand what causes such poor water conditions in the first place. The following offers details on toxic algae blooms, breaks down those catalysts that cause them, and offers links for in-depth detail on each. What Are Toxic Algae Blooms? Toxic algae blooms are caused by an abundance of nutrients in warm, slow-moving water that lead to the overpopulation of algae, specifically algae of the type that releases harmul toxins. Four toxins, one summer. 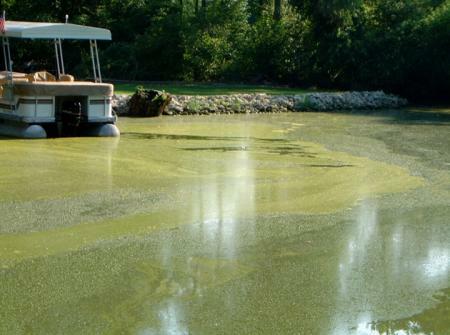 In Summer 2010, Grand Lake St. Marys experienced such an algal bloom. It was brought on by two types of blue-green aglae: Microcystis, which produces the toxin microcystin; and Aphanizomenon, which produces the toxins cylindrospermopsin, saxitoxin, and anatoxin. Blue-green algae isn’t algae at all. It’s cyanobacteria. This bacteria looks like algae and its blooms look green, or bluish-green. In any event, it is the reason four harmful toxins were released in the waters of Grand Lake St. Marys. Cylindrospermopsin is a known liver toxin. 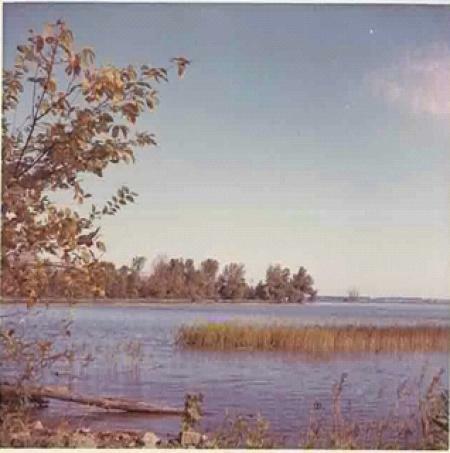 Along with Microcystin, all four toxins known to have been in the waters of Grand Lake St. Marys can cause very serious illnesses, collectively including allergic reactions, liver damage, cancer, liver failure, internal hemmorrhaging, heart and kidney and other internal organ damage and failure, Paralytic Shellfish Poisoning (PSP), paralysis, loss of coordination, convulsions, respiratory distress and failure, and death. 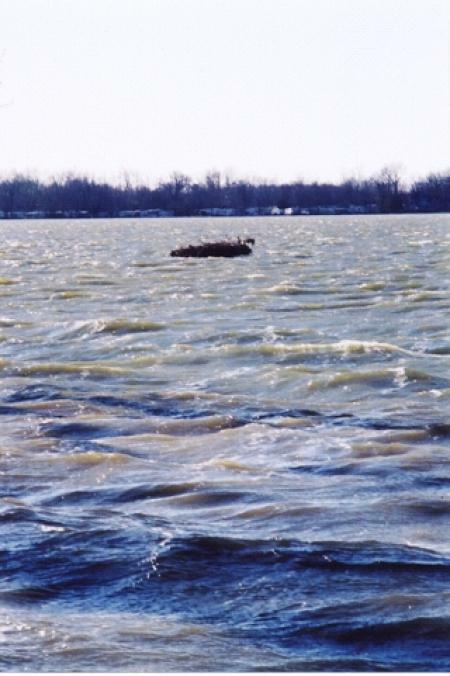 Many people and animals were sicked by Grand Lake St. Marys in 2010. The State of Ohio confirmed seven lake toxin-caused illnesses, and at least 21 illnesses were blamed on the lake’s toxins, including a case in which an individual was temporarily blinded. In addition, countless fish, waterfowl, and pets were sickened and killed by the lake’s toxic conditions. Some speculate that harmful algal toxins can and have caused mass extinctions. What Causes Toxic Algal Blooms? Nutrient runoff from livestock waste, fertilizers, and other sources is one of the major reasons for lake degradation. Rainwaters wash waste and fertilizers from agricultural land into tributaries that ultimately lead to Grand Lake St. Marys, which has loaded the lake with nutrients such as phosphorous and nitrogen. Between 150,000 and 200,000 tons of silt enter the lake annually. 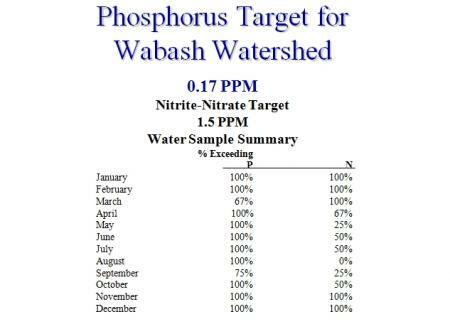 The abundance of phosophorous and nitrogen upset the natural balance of the ecosystem and provide a breeding ground for blue-green algae. Despite the name, blue-green algae is not a plant but bacteria that gets its energy through photosynthesis (cyanobacteria). Over-application of manure. The animals in the GLSM watershed produce 600,000 tons of raw manure each year, which requires 81,000 acres of land area to remain within recommended guideliness. 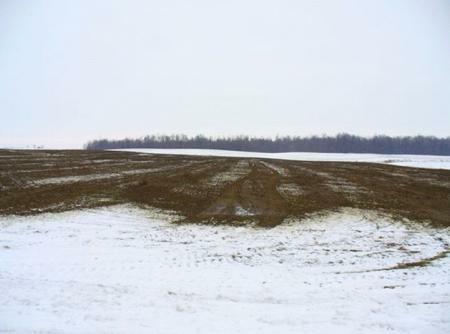 There are only 48,000 acres of land area available to filter the manure. Subsurface drainage tiles provide a conduit for nutrients to reach the lake faster. Spreading manure over ice in winter months means the manure flows to the lake along with the meltwater in the spring. 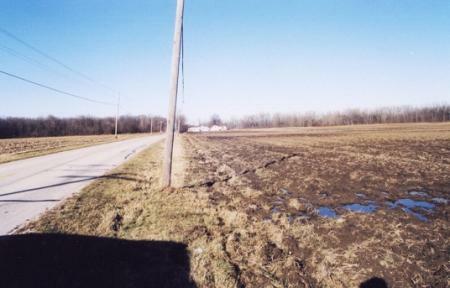 Using roadside ditches as drains, which act as tributaries to Grand Lake St. Marys. 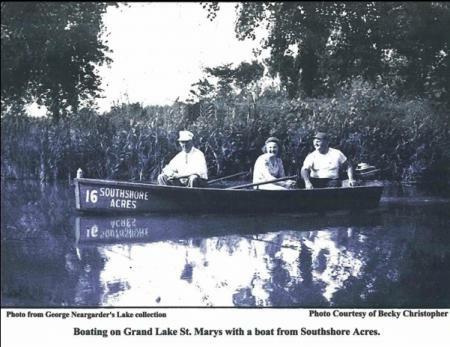 The fact that the Greater Grand Lake St. Marys Region has some of the highest agricultural activity in the nation. 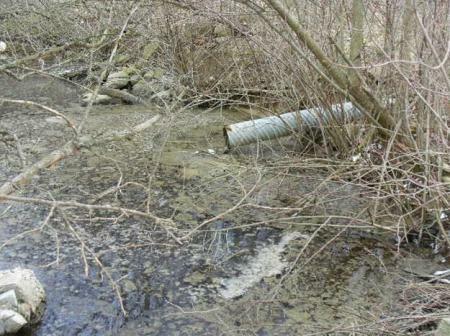 Another source of pollution for Grand Lake St. Marys is industrial and commercial drainage. Some sources are directly piped into the lake via industrial and residential channels. Examples include septic tanks, package plants and the lack of community sewage treatment facilities. 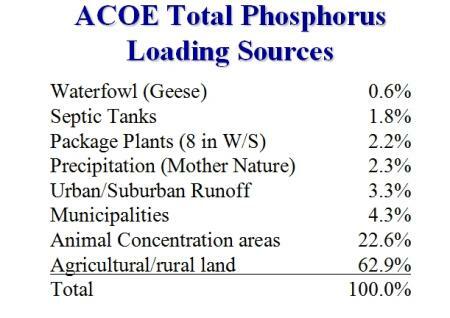 Other pollution sources include residential lawn fertilizers and waterfowl. Erosion and sedimentation strip Grand Lake St. Marys of her shoreline and leave a thick layer of muck on the bottom of the lake. Nutrient runoff isn’t the only thing that has contributed to this issue. Lakeside developments that do not preserve natural flora or otherwise plan to combat erosion are also responsible. In addition, the many tributaries to Grand Lake St. Marys face similar issues, and silt from these streams ultimately ends up in the lake. This sign was installed on the west side of Windy Point in June 2003 with 10 feet of shoreline in front of it. By the time these pictures were taken in December 2003 only 2 1/2 feet of shoreline remained. In this case, 7 1/2 feet of Grand Lake St. Marys shoreline eroded away in just six months. This “rock” jutting out of Montezuma Bay used to be a fairly nice-sized island, eroded to the point that a couple of seagulls might have to fight for space. 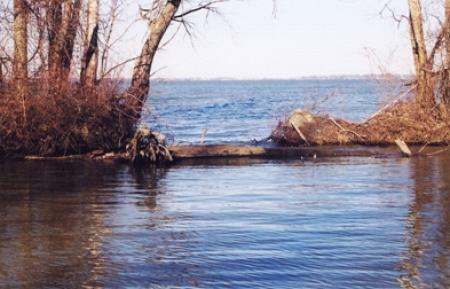 The shoreline separating the lake from a channel – and wetland area – is washing away, taking a vital habitat area with it. In the photos below, all taken circa 1965, you’ll notice the abundance of vegetation. 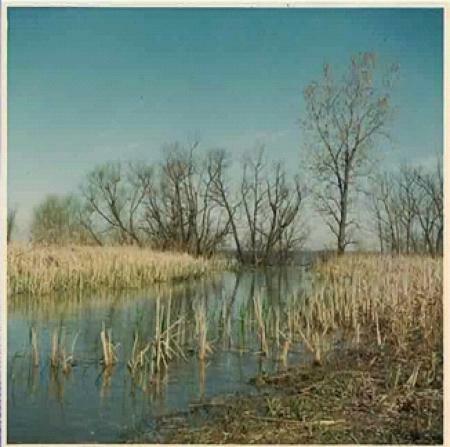 The last photo is a present-day photo of Prairie Creek Island that demonstrates how widespread the erosion issue is. 1960’s photo – plenty of vegetation to curb erosion! Another old photo – notice the offshore vegetation? Yet another old photo – see how tall the vegetation once grew? Prairie Creek Island – today. No vegetation, lots of erosion. Grand Lake St. Marys is officially owned by the State of Ohio, which means that legislative and enforcement falls under the state’s jurisdiction. In many ways, this ties the hands of local stakeholders to affect direct changes without the approval of the state. The state has a responsibility to clean and maintain Grand Lake St. Marys, yet political action and legislation does not always align with that responsibility. 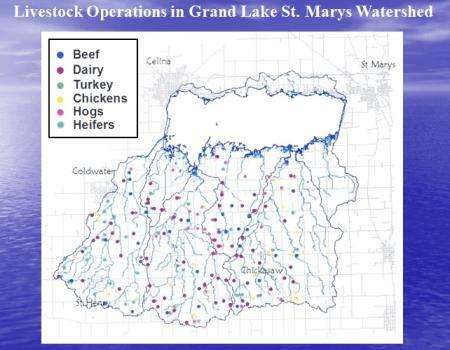 The state along with the Environmental Protection Agency both have interest in creating and enforcing laws that regulate and enforce pollution intake, agricultural activities that lead to nutrient runoff, and other variables that contribute to poor water quality in Grand Lake St. Marys. The good news is that Ohio’s officials are starting to take notice, and have taken action to help save Grand Lake St. Marys. We’ll cover all the action being taken to save the lake in a future installment. In the meantime, you have to do your part to save Grand Lake St. Marys! The future of Grand Lake St. Marys depends on you. Yesterday, Grand Lake St. Marys was indeed the grandest of them all. Today it is in trouble. What tomorrow brings is unknown. We can do nothing and allow the lake to meet its end. Or, we can work together to return Grand Lake St. Marys to its former glory and power as a famous recreation hub and thriving economic boon. You can start by downloading your Personal Action Plan. Get the latest Grand Lake St. Marys news first! Subscribe to our email newsletter to get the latest news, event updates, and other information delivered to your inbox. The purpose of the Lake Improvement Association is to make improvements to the GLSM and its facilities and promote a clean and healthy lake for the general public’s use. First Saturday of each month at 10:00 A.M. Copyright © 2016 Lake Improvement Association. All Rights Reserved.